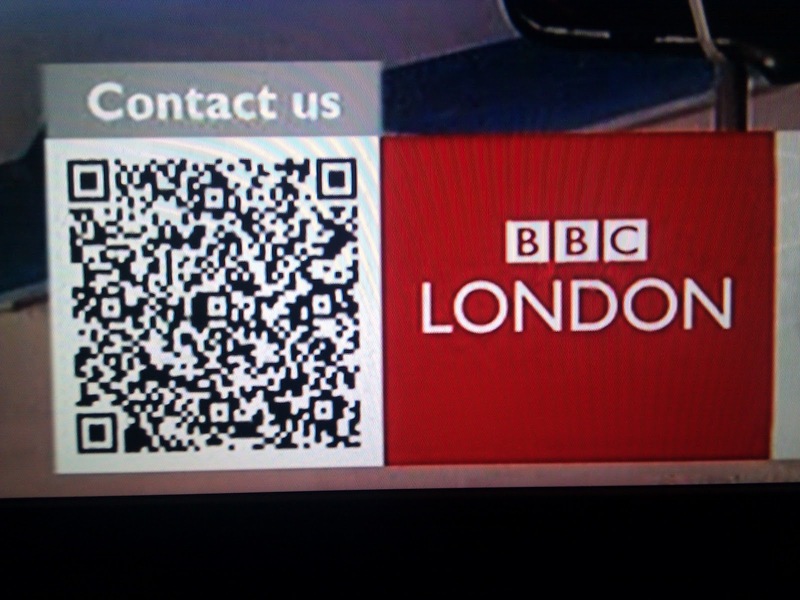 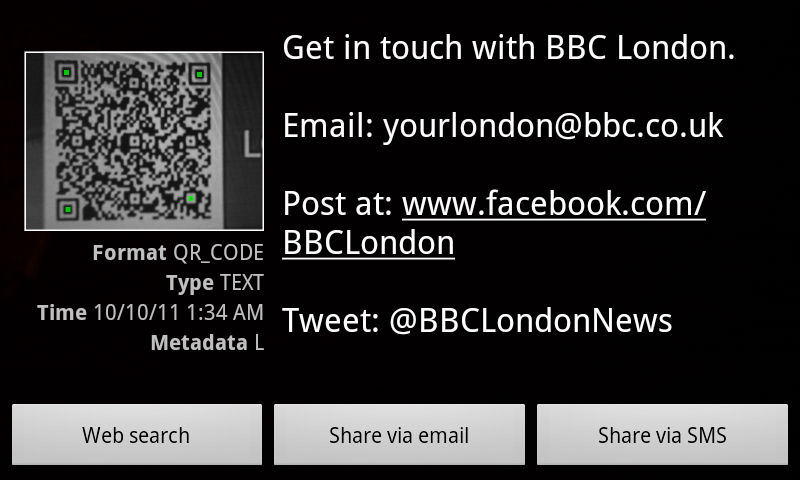 BBC London News is now running a QR code at the end of each TV broadcast. The barcode is displayed on-screen and encourages viewers to use their phones to engage more deeply with the BBC London News content. 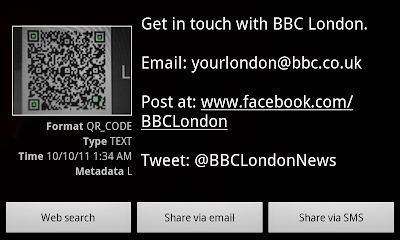 This BBC London News QR code doesn't just link straight to a website though, scanning the code puts data on the viewers mobile screen encouraging viewers to 'get in touch with BBC London' and then provides information for email, Facebook and Twitter. 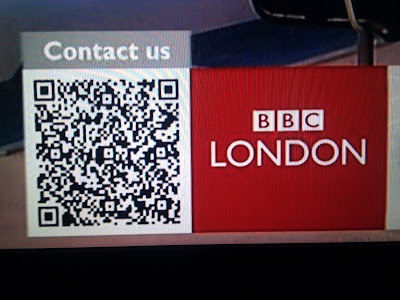 This shows the range of information that can now be included within a QR code and also acts as a good example of how TV content (and ads) can be tagged to encourage further involvment through mobile. 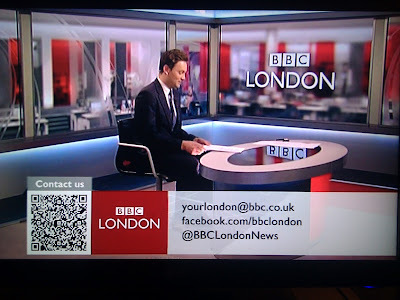 I'm expecting to see more and more use of QR codes as the glue that facilitates easy movement between 'traditional' content and digital / social areas - Owned drives traffic to other Owned content which can then generate Earned Media conversations.